I bought Amplitude kit, and in the kit, there was a half bottle of foundation primer, !Amplitude Clear Cover Liquid Base”, when I used this, I remind RMK Makeup Base, and fortunately still there is a bottle of RMK, let me use this new Amplitude with comparing with RMK. Both has neither perfume nor sunscreen effect. Let me show you on my swatch. In the drops, they really look like each other, both the texture and the finish are almost the same each other. Both moisturized my face well, but I know some could described as “filmed”, and guess RMK keeps my face more moisturized. I was a little bit disappointed Amplitude to know, the price is twice of the RMK! The RMK Makeup Base is one of the most long seller for RMK, and of course the director was Rumiko (Now Kaori is directing the brand of RMK), and Amplitude is directed by Rumiko. Checking what Japanese reviewers are saying, it looks like no speciality to pay, but when you use with the Amplitude foundations, this primer makes fit the foundation to your face for lasting, they are the best combination. When I use both RMK and Amplitude each of my face, and applied the Amplitude foundation, I could not find so much different lasting from each other. It can be up to your skin condition ,mine is dry, and I run foundations by my sweat. In person, I need sunscreen effect in the foundation primers, and do you use sunscreen as under-foundation-primer? I know many does, but it is inconvenient for me, and I know there are nice foundation primers what can be alternate of non-sunscreen effect foundation primers, like RMK Makeup Base and this Amplitude. 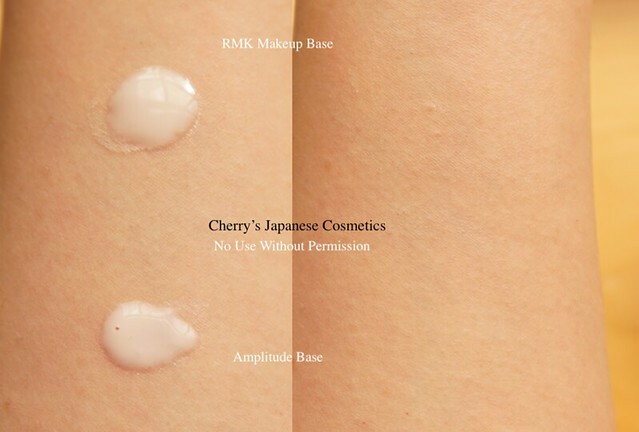 Totally to say, guess If you like RMK Makeup Base, you may also like this Amplitude Clear Cover Liquid Base. 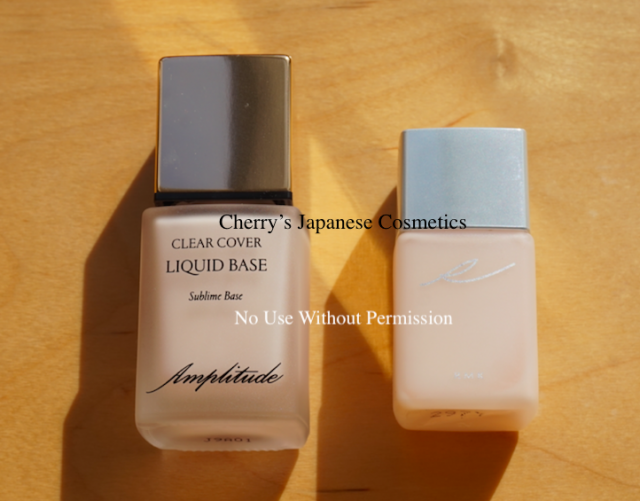 Please check the latest price, and order from here: “Amplitude Clear Cover Liquid Base”, or in JPY Branch.